Today I tried the Mumble Client 1.2.13 on Windows 10. Everything looked fine but I could not hear anything through my headset, while the microphone worked without any problems. 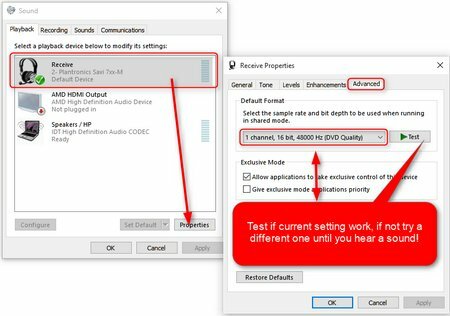 After some tests I found out, that I had to change the sample rate of my headset. I chose the setting by trial & error until I heard a sound. Here is a screenshot of the settings dialog, maybe it will help you, too.